“Marga hears too much!” | I'm hard of hearing, so what? “Marga hears too much!” – I'm hard of hearing, so what? 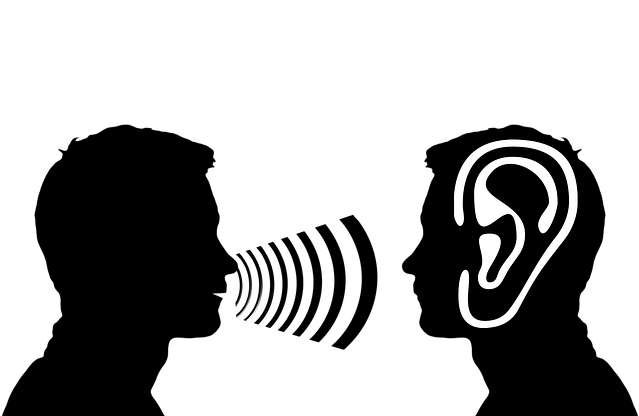 Hyperacusis, hypersensitivity to noise, is less well known than tinnitus, but there are many people who suffer more or less severely from it. In this new section “Marga hears too much” you get to know Marga van Hintum. She will blog about her experiences with Hyperacusis regularly. I can thank my great-grandmother on my bare knees. She passed on the recipe of the original family recipe of the Limburg Vlaai (kind of fruit cake from the Dutch region Limburg) to her daughter. And she made sure that it ended up in the hands of the next generations. A family recipe, also. The paper with the recipe is foamy and full of stains. I will overwrite it again. That will be at least the fourth copy. And I’ll plastify that right away; then it’s kitchenproof! Incidentally, the Limburg vlaai is actually an immigrant, that is how I was told. From Wallonia, but originally from France. The flan probably came with Napoleon. Just like other great achievements. I like to bake a vlaai every now and then, in my way. With a modern twist, and in my way. For example, if you have hyperacusis*, it’s better not to use a mixer when baking. By the way, vlaai dough never has to be mixed, that’s handy. Vlaai dough is kneaded, with two hands, and I can do that as the best. There is nothing wrong with my hands! Last Friday, that was the baking day, that’s how I had intended to be. In the morning, it was still pretty cool. Because it is summer, we have noticed! No “Whole Holland is baking” time penalty. No stress. And without spectators, hurries and huntings, I can’t do that at all anymore, since I am hyperacusist. And stress, that’s something I can’t handle today. At ease, with full attention, that›s the way it would be. At times, I like to try out a new variant of the family recipe. In my way, and with a modern twist. It became a fresh pudding vlaai with fresh lemon juice and lemon rind through it. Tasty and fresh. In summer I don’t think of mighty cakes with whipped cream, or lots of herbs in apple pie. So fresh cake, for a freshly washed visit the next day. At least, I assumed that. Well, very fresh, considering the warm weather. Baking Vlaai means making dough and filling. And working on two things at the same time, that has been bad for me before. First of all, the dough then. Fortunately, it was still relatively cool when I started. Kneading is pretty hard work; I got it considerably warmer. The dough had to rise for more than half an hour. It could use the heat. And that rising was great. It was a feast to see. It even rose out of the pan! And then the oven had to be turned on to preheat. Not nice, in the middle of the summer, but necessary. Fortunately, things went fast. And then the vlaai was ready. Middle blond in colour, well baked and fragrant. Smell of freshly baked Limburg Vlaai. In my way. And with a modern twist. * Hyperacusis, literally “I hear too much”, is a condition in which you are hypersensitive to ordinary everyday sounds. “The volume control of ambient noise is permanently set to too high a level for a person with hyperacusis.”For me, the higher frequencies are particularly annoying and hurt my head. Hyperacusis occurs in many forms. And often also in combination with tinnitus; as is the case with me.